After finishing this book, I had to sit with it for a few days. 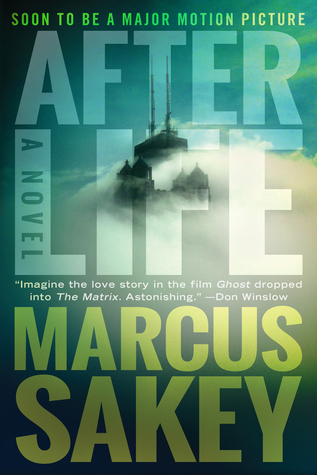 I’m a fan of Sakey’s Brilliance Trilogy – but Afterlife is a cut above and unlike anything I’ve ever read. Whatever ideas you’ve entertained about the afterlife – I promise, you’ve never thought of it in this way. Highly creative and thoroughly engaging, Afterlife is a phenomenal blend of thriller, fantasy, and love story set in a dark, dangerous world. I really liked Will and Claire and their likability is crucial to this story. Both possess characteristics you hope to see in law enforcement – unwavering honor, incredible bravery, and keen intelligence, although Claire is usually a couple of steps ahead of Will. What they’re willing to sacrifice for mankind and each other is completely selfless. Although I felt the strength of their bond later in the story, the initial connection between them wasn’t quite believable for me. Maybe I’m just not an almost ‘love at first sight’ kind of person. Afterlife is an epic battle between good and evil with an original, wondrous story that will stay with you long after finishing the last page. I just hope they don’t screw up the movie. This book is scheduled for release July 18th, 2017. Thanks to NetGalley and the publisher for a digital ARC. This really was just a fantastic read. So much better than I expected from him. I keep finding you in my spam folder, Lilyn – have no idea why. 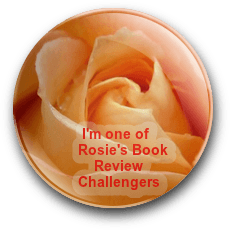 I saw your review – think you liked it as much as I did. I don’t know why either. WordPress is screwed up. This sounds really good. I’d never heard of it before. Do you know if the movie is already in production and when it’s scheduled for release? I don’t see that it’s in production yet, but it looks like Ron Howard’s production company outbid another during an auction. It could be a really amazing movie. 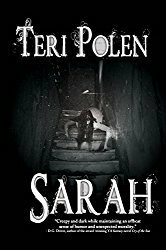 Great review, Teri — very intriguing. I usually like the book better than the film version… If the characters (at least through part of the book) are not quite believable… maybe this is one of the rare cases where the movie is better than the book. Hugs. I’ve yet to like a movie better than the book – but one can always hope, right? Hugs, Teagan! The only one that comes to my mind was a TV series, rather than a movie. Terry Goodkind’s fantasy series “The Sword of Truth” was made into the TV series “The Seeker.” In the books, the graphic depictions of torture took a lot away from my enjoyment. They couldn’t get away with that on TV, and I actually enjoyed it a lot more. And then there was Charlaine Harris’ Southern Vampire series vs True Blood. I actually do like the books a little better, but the books and HBO series were so vastly different, that it was hardly the same story. I enjoyed both. I’ll agree with you on this – the series was completely different, but really enjoyed both of them. I never saw that one. Familiar with Terry GoodKind – have one of his books in my TBR, but haven’t gotten around to reading it yet.